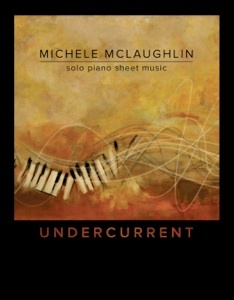 Undercurrent is the companion sheet music collection to Michele McLaughlin’s 2015 recording by the same name. 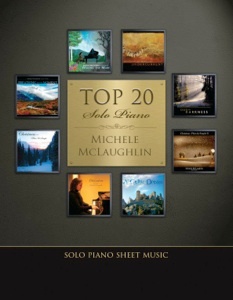 All thirteen piano solos are included, transcribed note-for-note by Rebecca Oswald and edited by myself. The scores are clear and easy to read, printed on a mid-weight bright white paper stock and spiral-bound to stay open on the piano and to continue looking good with many years of use. These pieces are a joy to play. Most pianists at an upper-intermediate level and above will have no trouble mastering the music, and more advanced pianists will have a great time with the expressive styles and varied moods. Most of the timing is very straight-forward and there are no reaches of more than an octave. Pedaling suggestions and metronome settings are included, and dynamics are clearly marked. None of the pieces are in the more challenging key signatures. 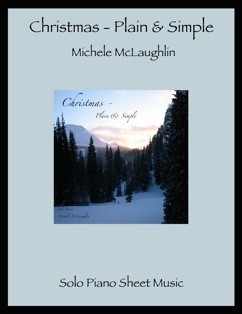 Melodic, accessible, and great fun to play, I highly recommend this book. 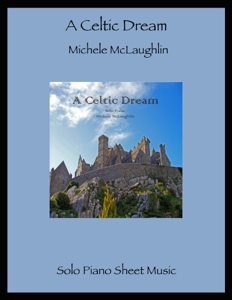 It is available in hard copy or for download from michelemclaughlin.com.